This isn't my typical type of post, but I couldn't think of a better audience for me to spread the word. For the last few years I've been a supporter of a fantastic charity called Free The Bears. Started by a visionary named Mary Hutton, Free the Bears fights against abuse of bears throughout Asia. 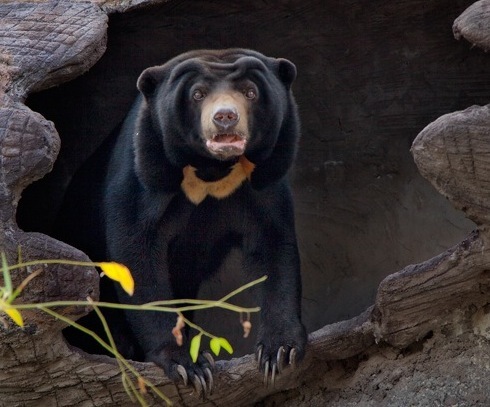 Starting with a successful fight against the horrors that were the Dancing Bears in India, Free the Bears has expanded its work throughout Asia. They're kept in illegal bear bile farms, where the bears are kept barely alive just long enough to tap their gall bladders for traditional medicine. They support education for the next generation to help break the cycle of violence. I've been to the rescue facilities in Cambodia and Laos, which are providing fantastic support for bears that had been subject to the most horrific abuse. I've also joined the Luang Prabang-based team on a reconnaissance mission to an illegal bear bile farm in the countryside in Laos (truly one of the most horrific experiences in my life). So I know first-hand just what fantastic work they do. Quite simply, they need laptops. Old laptops that you wouldn't use anymore are fantastic for them. Apples are even better (these laptops are seldom if ever connected to the internet, and virus-laden USB keys are the primary file sharing system in rural Cambodia and Laos; they get infected faster than they can get updated virus definitions). They need them for two reasons. First, they have field workers joining conservation teams that need some type of computing power with them. Second, they set up classroom education programs and equip the kids with laptops. So if you have any older (particularly Apple) laptops lying around your company or house (including iPads) anywhere in SE England, please reach out. They have a team leaving the UK for Cambodia and Laos in May and the more hardware we can put in their suitcases the better. I'll coordinate everything at OpenGamma HQ and send as much as we can on the next trip. I can't imagine that my readership lacks a few old laptops here in London that can be re-used for a fantastic charity! They are also registered as a UK charity and can do Gift Aid top-ups on the donations as well! Just leave a comment below, or email me (kirk at kirk wylie dot com) and hopefully we can get some more hardware going off to help the bears!